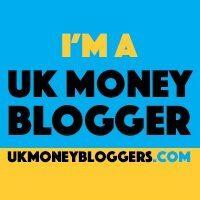 This guest post is by Tom “FIRE” who runs his own personal finance blog centred around achieving Financial Independence and Retiring Early – hence the FIRE. You can follow his journey at his blog at FIREdUpMillennial.com and on Twitter @FIREdUpMillenn. For many people across the world, debt is an all-too-common problem. It is easy to find yourself in a financial hole due to education, a mortgage, medical or other emergencies, or just plain old overspending. The problem then becomes finding a way out of debt. Most people do not have a way to significantly increase their income in a short period of time, which can make paying off debt feel like bailing out a sinking ship with a teaspoon. Many types of debt come with high interest rates, so paying only the minimum payment will result in only chipping away at the principal owed — often leaving you on the hook for thousands of dollars in interest, and paying off the debt for years. Fortunately, there are a number of strategies for paying off debt more quickly, without finding a new, higher paying job or hitting the lottery. Read on to learn five strategies that you can use today to start paying off your debt — and saving money on the total amount that you owe. One of the hardest parts of paying off debts can be staying motivated to continue to make payments when it feels overwhelming. The debt snowball method addresses this problem by helping you achieve smaller goals along your journey to becoming debt-free. This psychological boost can help to keep you on track and driven to keep going. Starting a debt snowball is relatively simple. Just list your debts by amount from smallest to largest; do not worry about interest rates or any other factor. Then start working your way up the list, paying off the smallest debt first by putting any extra cash that you have towards that debt. Once that debt is paid off, celebrate — and then use the money that you were putting towards it to the next debt on the list. In this way, your “snowball” keeps growing until you are out of debt. For example, if you have 5 debts, ranging from $600 to $3,000, start by paying off the $600 debt. Once that debt is paid off, put all of the money that you were using to pay off the $600 debt towards the second smallest debt, and so on — soon enough, you’ll be devoting all of your extra cash towards the $3,000 debt, and will find yourself out of debt. Similar to the debt snowball method, with the debt avalanche method, you will work towards paying off one debt at a time. But instead of focusing on the smallest debt, you will pay off the debt with the highest interest rate first, and work your way towards the debt with the lowest interest rate. This method has been proven to save you the most money over time and help you get out of debt more quickly — but it doesn’t provide the same motivation as the debt snowball method, since it will take longer to pay off the first debt. You can start a debt avalanche by listing your debts from the one with the highest interest rate to the lowest. For example, the debt with 20% interest down to the one with 5% interest. Then put all of your extra funds towards the debt with the highest interest, while making only the minimum payments on the other debts. It will take some time, but eventually you will pay off that 20% interest rate debt — and because you will have stopped accumulating interest on the highest interest rate debt, it will free up a lot more money to put towards other debts. You can then start paying off the debt with the next highest interest rate. The debt snowflake method is more of a lifestyle choice than a specific method, and it can be used with any of the other methods to help accelerate your savings. Essentially, it involves making a budget — and sticking to it — in order to put each bit of savings (snowflakes) towards your debt. Each of these snowflakes can help to build a debt avalanche or snowball, helping you get yourself out of debt. For example, if you start to pack your lunch for work rather than eating out, than could save $50 or more each week. $200 a month could then be put towards paying down debt, which can help you dig your way out of debt. Each $5 or more that you are able to shave from your spending can make a major difference in how quickly you pay off your debt. An extra $200 per month on a 30 year, $250,000 mortgage with a 5% interest rate would save you $65,735 in interest payments — and help you pay off your mortgage 7 years and 5 months sooner than you would have if you made the minimum monthly payment. When viewed in that light, packing a lunch seems much more appealing. Having a high interest rates is one of the most common reasons that many people cannot pay off their debt. Whether it is a student loan, credit card debt, personal loan, mortgage or any other type of loan, when the interest rate is high, it is exceptionally difficult to make a dent in the debt. The interest rate is the percent of the principal (amount of money borrowed) that a person pays to use the money. While an interest rate can be relatively low for certain types of loans, in other cases, it can be incredibly high. For example, credit card interest rates in the United States can often approach 20%. Most types of loans base interest rates on the creditworthiness of the borrower. The less likely the borrower is to pay back the money, based on his or her history of borrowing money and paying bills, the higher the interest rate will typically be. Certain types of loans, such as payday advance loans or other loans that allow you to obtain money quickly, often have outrageously high interest rates. Anyone with a high interest rate debt can often benefit from refinancing or consolidating their debt. Refinancing is a process where you can apply for a new, lower interest loan to replace the higher interest loan. This is typically done when the borrower has a better credit history than what he or she had when first applying for the loan. For example, if a borrower applied for a student loan when he had relatively poor credit, he may have gotten one with a 9% interest rate. By refinancing after improving his credit, he could obtain a new loan at a 5% interest rate. This new loan will be used to pay off the old loan, and the borrower will then make payments on the new loan. This will likely save him thousands of dollars over the life of the loan, and help him pay it off more quickly because more of his payments will be going towards the principal of the loan instead of the interest. Consolidation is a similar process – and often accompanies refinancing – where a number of loans can be paid off at once and merged into one loan. It is often used by people struggling with credit card debt; a person can obtain a lower interest personal loan that is then used to pay off one or more credit card balances. Then he or she makes payments on the loan instead of the credit cards. For example, a person can pay off multiple credit cards balances that each have interest rates over 15% with a personal loan that has an 8% interest rate. Then he or she can make monthly payments on the loan, and save a significant amount of money by slashing interest payments nearly in half. Many people are on a relatively strict budget, and simply do not have the extra money to make additional payments or to funnel cash towards their debt. In that situation, there is still an option: making your payments on a bi-weekly payment. Essentially, making half of your monthly payment every two weeks — instead of the full payment once a month — can help you save money over time. That is because some debts have interest that is compounded daily, not monthly. If you pay more often, less interest accrues between payments — so more of your payments goes towards the principal. In addition, paying every two weeks means that you will actually make 13 payments a year instead of 12 — which is a relatively painless way to make an extra payment each year! Think of it this way: if you owe $10,000 on your student loans, the interest rate will be calculated based on the balance. If you make two payments of $100 each on the 15th and again on the 30th, this brings the average balance down — say, to $9,900 and then to $9,800 — instead of waiting until the 30th, when the interest will be calculated, to make one payment of $200. The average balance will be calculated over the whole month, so the dip on the 15th will be registered — and you will receive the benefit of making that payment, and pay less interest as a result. It isn’t as effective as making extra payments each month, but it is a way to pay off your debt more quickly even if you don’t have room in your budget for extra payments. Debt can be stressful, and difficult to overcome. But by employing strategies such as the ones above, you can successfully pay off your debts and obtain financial freedom. Is the National Lottery still worth playing? Is it time we stopped giving gift cards and gift vouchers?